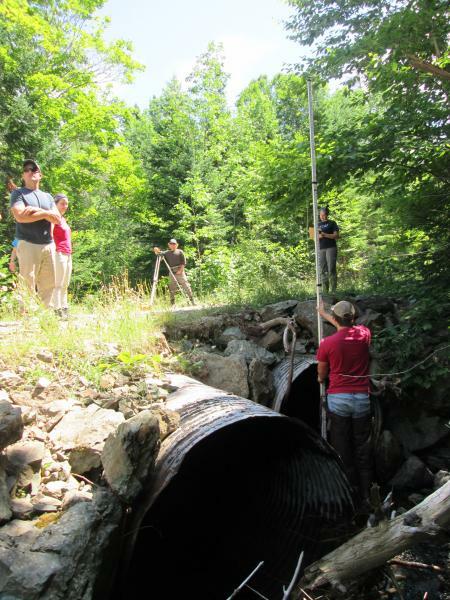 If you are interested in joining an existing watershed community group or are considering starting your own, looking through the program manual entitled “The NSLC Adopt A Stream Program: A Watershed Approach to Community–based Stewardship” is a great place to start. It is available in a binder format or on CD or online click here. This reference is chock-full of useful information including the ecology of watercourses, how to research and survey a watercourse, what limits fish populations, restoration options, and the Brierly Brook restoration case study, plus suggestions on how to get started.